The insurance and reinsurance industry loss expected from the December 20th severe hail storm that struck the Sydney and surrounding region of New South Wales, Australia has now reached $871 million. 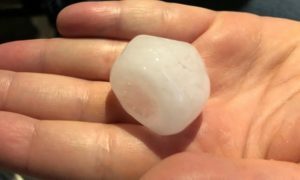 The hailstorm system struck the Sydney, Central Coast and South East Queensland regions of the country on the night of December 20th into 21st 2018, with widespread damage seen to residential and commercial property, as well as auto’s. The Insurance Council of Australia (ICA) declared a catastrophe for the Sydney area hail storm event and a number of major insurers have already said they would be claiming on their reinsurance for support in paying the resulting claims. Now, the anticipated loss has risen, with the ICA reporting an insured loss of AU $871 million at the latest count. As of today, insurance companies have received 99,638 claims in total, with 71,475 from damage to motor vehicles, 22,057 related to residential property claims and 4563 home contents claims. As we reported previously, insurer IAG anticipates breaching its retention for the hail storm loss and will likely claim on its reinsurance tower for the storm claims. Suncorp also said that its claim costs from the storm would exceed the maximum first event retention within the insurers reinsurance program. Other major insurers in the region are also expected to call on reinsurance program support for paying claims from this latest Sydney hail loss event.